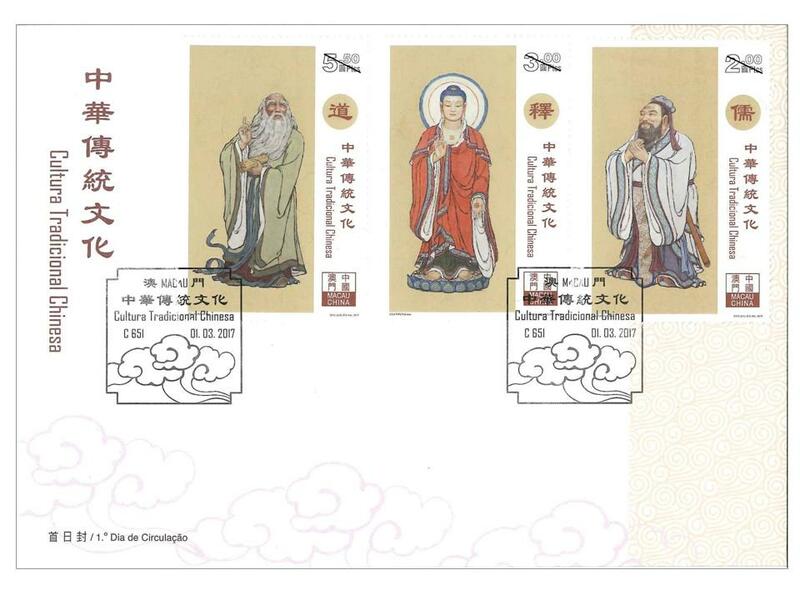 Stamp Issue "Traditional Chinese Culture"
The brilliant Chinese traditional culture originated in a long history. It has always been advocating the integration of the three teachings including Confucianism, Buddhism and Taoism. “Standard for being a good pupil and child” is the foundation of Confucianism; “The Ten Virtues” is the foundation of Buddhism; while “The Treatise on Response and Retribution” is the foundation of Taoism. 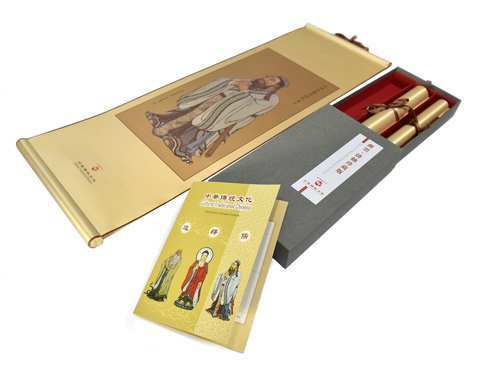 All these three religions follow the teaching of Confucian moral injunctions of filial piety and fraternity, loyalty, faithfulness, honest and humble, which are the characteristics and basis of traditional Chinese culture, the Chinese social culture is rooted here for several thousand years. Confucianism, Buddhism and Taoism are people’s spiritual wealth and concluded intellectual quintessence, which also provides the model of religion acknowledgment for the western religion. 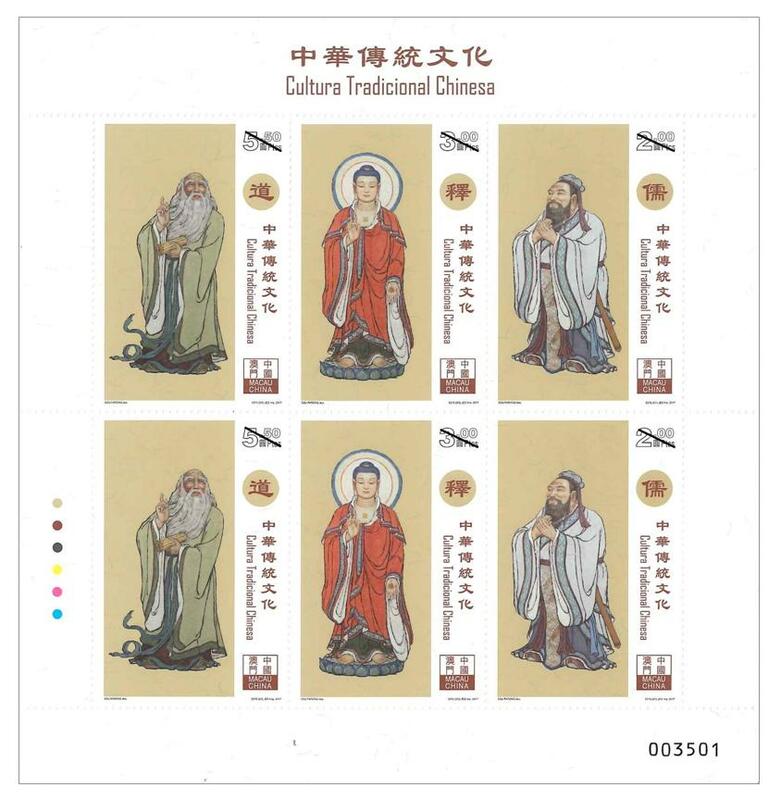 Macao Post and Telecommunications Bureau will issue the stamp theme “Traditional Chinese Culture” on 1st March, 2017, in order to disseminate the traditional Chinese culture and moral values. 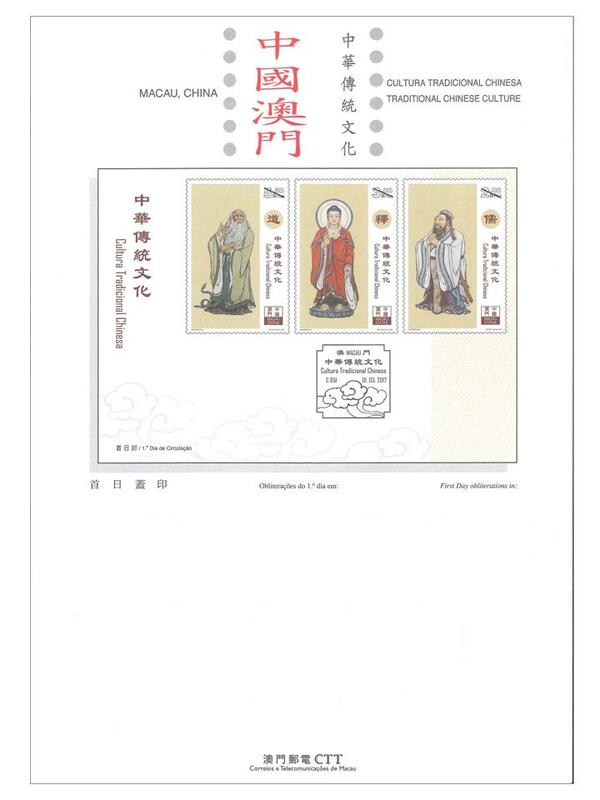 This issue includes a set of three stamps, the paintings of the representative figures of the three teachings, Confucius, Siddhartha Gautama and Lao Tse are selected from the Macao artist Sou Farong, his own unique style of Zen paintings is applied with the oil paintings on Xuan paper. 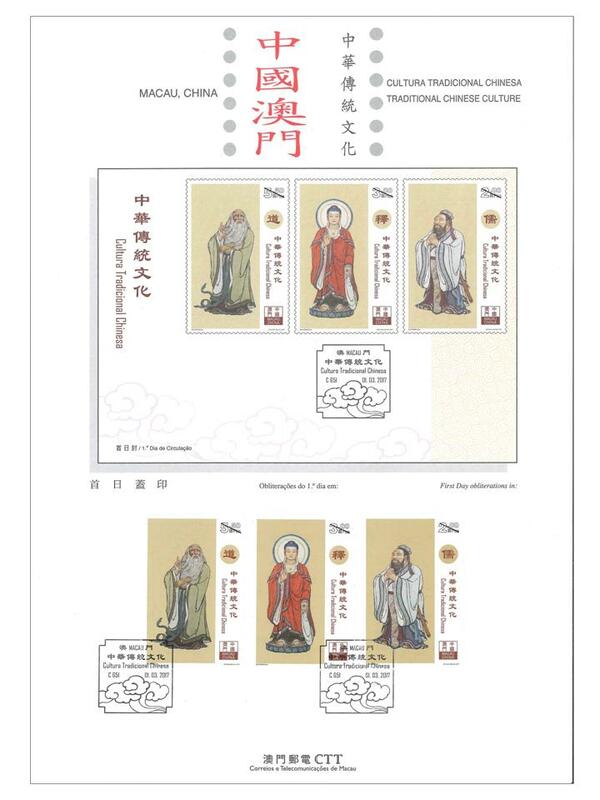 Besides the above philatelic products, the Gift Set of Stamps and Chinese Paintings Reel with the theme “Traditional Chinese Culture” will also be released, a prestigious gift box contains three reproductions of silk paintings (850 x 310 cm in each reel) and a presentation pack with stamps (sheetlet with two sets of stamps) of the same issue, the three silk paintings illustrating Confucius, Siddhartha Gautama and Lao Tse respectively, priced at MOP338.00. It will only be available for sale at the Philatelic Shop of General Post Office. Limited quantity! Get the opportunity to add value to your collection! The stamp designer of this issue is Mr. Sou Farong, and the text of the information brochure is written by Ms. Chio Ieong. This is the third theme in 2017. 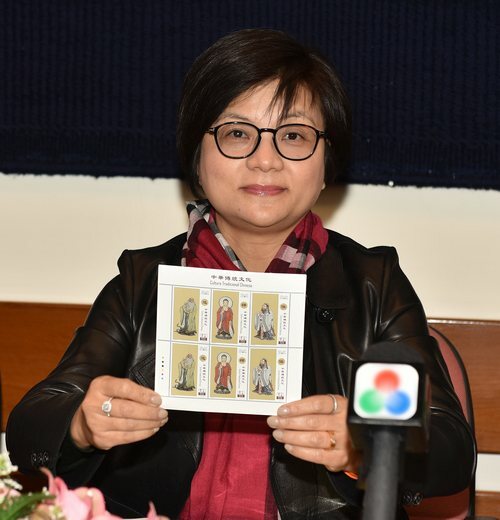 The previous issued stamps are “Lunar Year of the Rooster” on 05/01/2017, and “Macao: Back to Common Roots” on 10/02/2017..
Technical Data of Stamp "TRADITIONAL CHINESE CULTURE"